Earlier this week, I went to the Ritz theater in Philadelphia to see the documentary Awake: The Life of Yogananda, and found myself reconnecting to the source of our tradition. 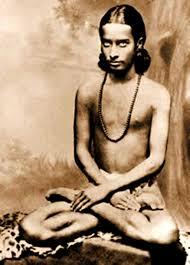 Paramahansa Yogananda is credited with bringing the healing philosophies of yoga to the west. He first traveled to Boston to speak at a conference in 1920…and then later established the self-realization fellowship in Los Angeles. Moreover, Yogananda wrote Autobiography of a Yogi, which has sold more than four million copies in 34 languages since it was published in 1946. If those statistics don’t impress you, maybe this one will: Autobiography of a Yogi was the one and only book that Steve Jobs stored on his iPad. He read it at least once a year.